Whether for 24, 48 or 72 hours – experience more than 210 advantages from museums over theaters and restaurants to free rides with metro, bus and tramway. Do you want to visit the Prater, the Music Association, the Albertina, the House of the Ocean, or an exciting event at the Ernst Happel Stadium, during your city trips? Then the JUFA Hotel Wien City*** is your best choice! 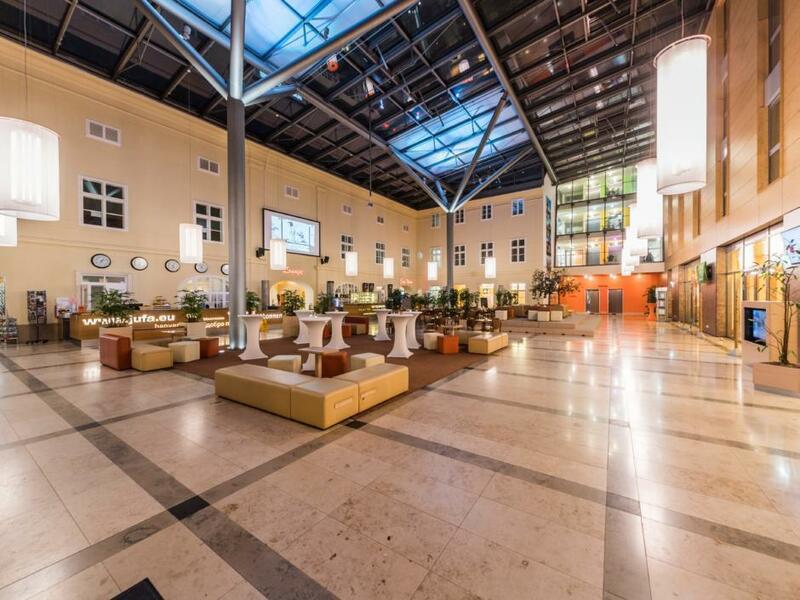 With its excellent accessibility (only 300 m to the U3), private underground parking and modern, spacious rooms with a flexible space concept, as well as a glass-covered atrium, the JUFA Hotel Wien City*** is also a seminar and conference hotel. If you prefer lightweight luggage, you can take advantage of our buggy rental. We also offer a large family room, a chill out lounge, as well as a place of retreat for gatherings among young people – the play corner with Table Tennis & Co can get by just fine without any adults! Vienna also has a special service for its guests: the Vienna Card. With this card, you can obtain free rides on the public transport network and enjoy more than 210 benefits in museums, theatres, concert halls, cafés, wine and while shopping. Regardless whether you want to visit castle Schönbrunn and its animal park, plan a shopping trip along the numerous shopping streets, or a culinary trip to one of the traditional Heurigen – the choice is yours. The city of music, its people and attractions will inspire you – at any time of the year! The JUFA Hotel Wien City*** is located in the Simmering district and can be conveniently reached by car via the A4 motorway and the A21, or by public transport. Travelling from Salzburg: Starting on the A1 travelling east – keep left on the E60 – continue on the A21 – merge left at the Knoten Vösendorf exit onto the A2/E59 – continue on the A23 – take the A4 at the Knoten Prater exit towards Alt Simmering – at the Alt Simmering exit continue towards Gasometer City – turn left onto Erdbergstrasse – keep right at the first intersection at Haide – turn right onto Haidestrasse – continue on Kopalgasse – turn left onto Mautner-Markhofgasse – the JUFA Hotel is located on the right hand side. Travelling from Graz: Starting on the A2 travelling north – continue on the A23 – merge onto the A4 at the Knoten Prater exit towards Alt Simmering – at the Alt Simmering exit continue towards Gasometer City – turn left onto Erdbergstrasse – keep right at the first intersection at Haide – turn right onto Haidestrasse – continue on Kopalgasse – turn left onto Mautner-Markhofgasse – the JUFA Hotel is located on the right hand side. Schwechat Airport is 17 kilometres away and can be reached via the A4. You can access the A23, S1 directly via St. Marx. Take the U3 coming from the city center in the direction to Simmering. Exit the train at Enkplatz and follow the sign towards Grillgasse. Cross the street and continue for about 300 m and the Hotel will be right ahead of you. Discover the city with the reasonably priced “Vienna City Card” (fee-based) for 24, 48 or 72 hours. More than 210 advantages from museums over theaters and restaurants to free rides with metro, bus and tramway. Experience the green side of Vienna. You can observe animals and explore the park by horse-drawn carriage, bicycle or with the National Park boat. Enjoy a heavenly panoramic view over the whole of Vienna! The covered observation terrace is 150 metres high and is a special experience both during the day and at night. This world famous and unique institution has been practising classical dressage for more than 430 years. The school continues to keep these special equestrian skills alive. You will be able to witness the sublimely harmonious partnerships that exist between the horses and their riders. The JUFA Hotel Wien City*** is your competent conference hotel for seminars, international congresses, team meetings and multi-day workshops in Vienna. A strong team spirit and a positive working atmosphere cannot always be taken for granted. However, the ability to develop trusting relationships can be learned. The JUFA Hotel Wien City*** has all the facilities to suit your particular requirements, whether you are running an educational programme, a team building event or a company training course. 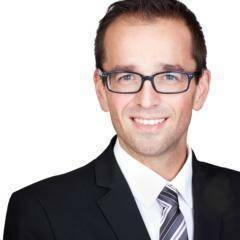 The hotel manager Sven Winter and his team are available to answer your questions at any time! Im interested in the offer "JUFA Hotel Wien City***" in the .